Throw it all in a pan, heat and mix. Serve in iceberg lettuce and enjoy! 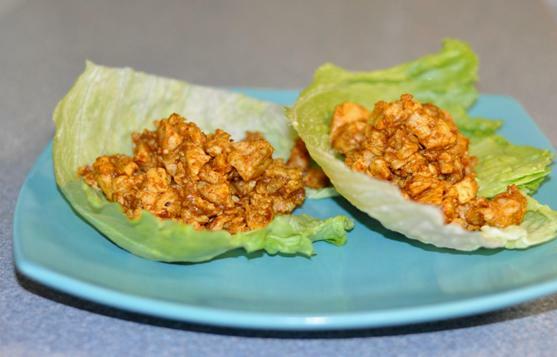 this looks amazing...we are huge fans of lettuce wraps but this recipe looks WAY better than what we have been using. cant wait to try it!